Our genome must be packed tightly to fit into the nucleus. Genome is the blue print of a living organism whether made up off a single or multiple cell. Recently, the genome seen as a functional network of physical contacts within (cis) and between (trans) chromosomes. It became necessary to map these physical DNA contacts at high-resolution with technologies such as the “chromosome conformation capture” (3C) and other 3C-related methods including 3C-Carbon Copy (5C) and Hi-C. Yet, we all know that in vivo conformation, gene to gene interactions from a long distance, histones and 3D have an impact on gene regulation and expression. The game is not just a sequence but functional genomics with a correct translation of sequence for development so that proper molecular diagnostics can be applied not only for prevention but also for monitoring the efficacy of the intervention. Thus, we can provide a targeted therapy for personalized medicine. On the other hand, we still know very little about genome organization at the molecular level, although spatial genome organization can critically affect gene expression. It is important to recognize who is there to be present and who is there to create the functional impact for regulation in a specific tissue and time. In addition, mediation of these chromatin contacts based on a specific tissue is quite essential. For example, during long-range control mechanism specific enhancers and distal promoters needed to be invited to a close physical proximity to each other by transcription factors that has been found at other loci. 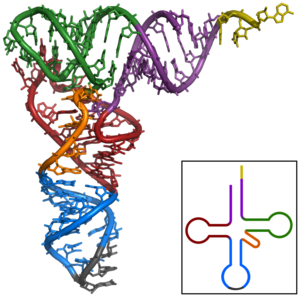 Furthermore, chromatin-binding proteins such as the CCCTC-binding factor (CTCF) and cohesin seem to have critical roles in genome organization and gene expression. Let’s not forget about epigenetics, since there are so many methods to regulate chromatin interactions like cytosine methylation, maternal gene, gradient level, post-translational modifications and non-coding RNAs. 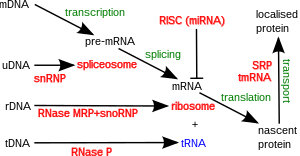 The non-coding RNAs (ncRNAs) are silent but they have the 99% power because ncRNAs are a broad class of transcripts consisting of structural (rRNAs, tRNAs, snRNAs, snoRNAs, etc. ), regulatory (miRNAs, piRNAs, etc. ), and of sense/antisense transcripts. Among these an interesting class is the latter group. This class includes transcriptional “features” (eRNAs, tiRNAs), and a very large number of long non-coding RNAs (lncRNAs), length from 200 nt to 100 kb. The magnificent future of lncRNAs comes from their production, as they can be transcribed nearby known protein-coding genes or from their introns. As a result, because of their intergenical production they are also called as “lincRNAs (long intergenical non-coding RNAs). They are abundant and specific as microRNAs. Hence, their inclusion into the biomarker list and assuming their roles during targeted therapy don’t require us to be a wizard but a functional genomicist knowing evolution, development and molecular genetics and plus signaling. lincRNA can both activate and repress the gene either cis or trans acting to effect gene regulation will be discussed next. As a result, one gene expression regulation needs from twenty to several hundred genes. As they say raising a child needs a village. “Functional demarcation of active and silent chromatin domains in human HOX loci by noncoding RNAs”. Rinn JL, Kertesz M, Wang JK, Squazzo SL, Xu X, Brugmann SA, Goodnough LH, Helms JA, Farnham PJ, Segal E, Chang HY. Cell. 2007 Jun 29; 129(7):1311-23. Tsai MC, Manor O, Wan Y, Mosammaparast N, Wang JK, Lan F, Shi Y, Segal E, Chang HYScience. 2010 Aug 6; 329(5992):689-93. Dekker J, Rippe K, Dekker M, Kleckner N.Science.2002;295:1306–1311. “Chromosome Conformation Capture Carbon Copy (5C): a massively parallel solution for mapping interactions between genomic elements”. Dostie J, Richmond TA, Arnaout RA, Selzer RR, Lee WL, Honan TA, Rubio ED, Krumm A, Lamb J, Nusbaum C, Green RD, Dekker J.Genome Res. 2006;16:1299–1309. “Chromosome conformation capture carbon copy technology”. Dostie J, Zhan Y, Dekker J. Curr. Protoc. Mol. Biol. 2007 Chapter 21, Unit 21 14. “Comprehensive mapping of long-range interactions reveals folding principles of the human genome”. Lieberman-Aiden E, van Berkum NL, Williams L, Imakaev M, Ragoczy T, Telling A, Amit I, Lajoie BR, Sabo PJ, Dorschner MO, Sandstrom R, Bernstein B, Bender MA, Groudine M, Gnirke A, Stamatoyannopoulos J, Mirny LA, Lander ES, Dekker J. Science. 2009;326:289–293. Crutchley JL, Wang XQ, Ferraiuolo MA, Dostie J.Biomark. Med. 2010;4:611–629. “Relationship between CAD risk genotype in the chromosome 9p21 locus and gene expression. Identification of eight new ANRIL splice variants”. PLoS One. 2009 Nov 2; 4(11):e7677. ” A myelopoiesis-associated regulatory intergenic noncoding RNA transcript within the human HOXA cluster”. Zhang X, Lian Z, Padden C, Gerstein MB, Rozowsky J, Snyder M, Gingeras TR, Kapranov P, Weissman SM, Newburger PE. Blood. 2009 Mar 12; 113(11):2526-34. Monk M. Genes Dev. 1988 Aug; 2(8):921-5. Marta Carapuço,1 Ana Nóvoa,1 Nicoletta Bobola,2 and Moisés Mallo1,3 . Genes Dev. 2005 September 15; 19(18): 2116–2121. “Hox genes in vertebrate development”. Krumlauf R. Cell. 1994 Jul 29; 78(2):191-201. “Noncoding RNA synthesis and loss of Polycomb group repression accompanies the colinear activation of the human HOXA cluster”. Sessa L, Breiling A, Lavorgna G, Silvestri L, Casari G, Orlando V. RNA. 2007 Feb; 13(2):223-39. “Long noncoding RNAs with enhancer-like function in human cells”. “Histone modifications at human enhancers reflect global cell-type-specific gene expression”. Heintzman ND, Hon GC, Hawkins RD, Kheradpour P, Stark A, Harp LF, Ye Z, Lee LK, Stuart RK, Ching CW, Ching KA, Antosiewicz-Bourget JE, Liu H, Zhang X, Green RD, Lobanenkov VV, Stewart R, Thomson JA, Crawford GE, Kellis M, Ren B. Nature. 2009 May 7; 459(7243):108-12. “Tiny RNAs associated with transcription start sites in animals”. Taft RJ, Glazov EA, Cloonan N, Simons C, Stephen S, Faulkner GJ, Lassmann T, Forrest AR, Grimmond SM, Schroder K, Irvine K, Arakawa T, Nakamura M, Kubosaki A, Hayashida K, Kawazu C, Murata M, Nishiyori H, Fukuda S, Kawai J, Daub CO, Hume DA, Suzuki H, Orlando V, Carninci P, Hayashizaki Y, Mattick JS. Nat Genet. 2009 May; 41(5):572-8. “Chromatin modifications and their function”. Kouzarides T. Cell. 2007 Feb 23; 128(4):693-705. “The nuclear-retained noncoding RNA MALAT1 regulates alternative splicing by modulating SR splicing factor phosphorylation”. Tripathi V, Ellis JD, Shen Z, Song DY, Pan Q, Watt AT, Freier SM, Bennett CF, Sharma A, Bubulya PA, Blencowe BJ, Prasanth SG, Prasanth KV. Mol Cell. 2010 Sep 24; 39(6):925-38. Sridhar, J.; Sabarinathan, R.; Gunasekaran, P.; Sekar, K. Gene vol. 516 issue 2 March 10, 2013. p. 335-344 DOI: 10.1016/j.gene.2012.12.057. ISSN: 0378-1119. Rutnam, Z.J. ; Wight, T.N. ; Yang, B.B.Matr ixixix Biology vol. 32 issue 2 March 11, 2013. p. 74-85 DOI: 10.1016/j.matbio.2012.11.003. ISSN: 0945-053X. Liu, P.; Yan, K.; Lei, Y.x. ; Xu, R.; Zhang, Y.m. ; Yang, G.d.; Huang, J.g. ; Wu, C.A. ; Zheng, C.C. Genomics vol. 101 issue 2 February, 2013. p. 149-156 DOI: 10.1016/j.ygeno.2012.11.004. ISSN: 0888-7543. Knauss, J.L. ; Sun, T. Neuroscience vol. 235 April 3, 2013. p. 200-214 DOI: 10.1016/j.neuroscience.2013.01.022. ISSN: 0306-4522.
on June 23, 2013 at 7:44 AM | Reply “The SILENCE of the Lambs” Introducing The Power of Uncoded RNA | Demet Sag, Ph.D. Please review each reference to make sure all links are live. It is interesting, how when citing articles on our Journal you actually brought the author picture, it is great, teach us, How to do that, I really like it. I’ll include this one in our Genomics volume one, going to Amazon-Kindle in the coming week. Thank you for your support. Sure I can make the link alive and share the trick for posting the pictures. Looking forward to see the Genomics volume one on Amazon-Kindle.